Focusing on North American animals, learners are introduced to the basic structure of tracks and use of tracks to identify species and behavior. The animal tracking booklet (included) features an introduction to animal tracking, a basic animal track identification guide, directions for making casts and other classroom activities, field card master for documenting tracks found outdoors, plus a list of additional tracking activities. *This kit is a nice complement to our Who Passed Through: Animal Scene Investigations exhibit. 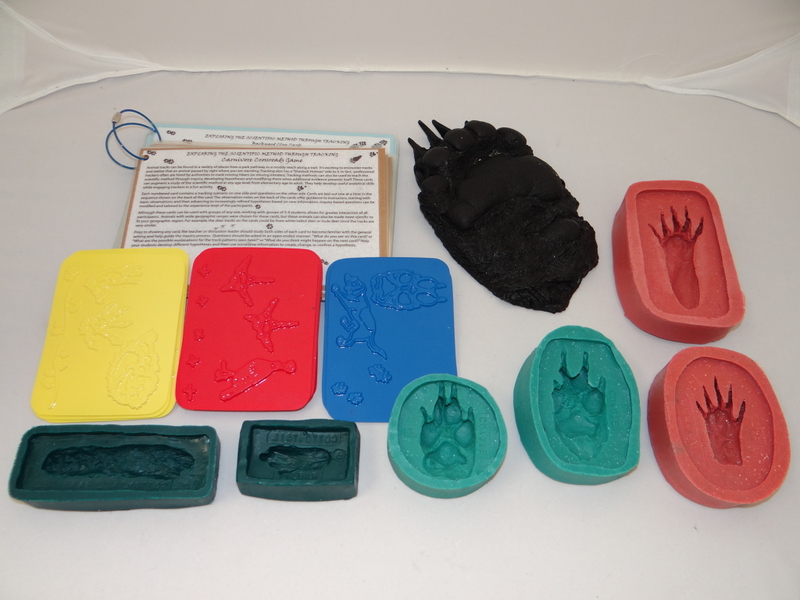 In this kit: Included are tracking stencils and track casting molds for 12 animals. Please note that molding clay (such as Model Magic) or Plaster of Paris for making prints are recommended (not required) and are not provided. Please note that equipment drop-offs and pick-ups are by appointment only. Email seec@utdallas.edu to schedule.